Every month we bring you a list of job fairs around the country. Now, we are going to share you where to find not just a few of these fairs, but listings for career fairs around the nation, every single week. Here is a list of some of the top job fair websites in the nation. These companies host job fairs and invite the top companies in local markets. It’s good to pay attention to the veteran and military spouse focused job fairs because these events bring in employers who are specifically willing to hire military families. When you visit their sites, just don’t grab the date, location and go. Take time to register, upload your resume and browse the profiles of the companies who will be present at the fair. The more effort you spend to push your resume out to perspective employers, the better your chance of being noticed. Some employers will hold their own job fairs. For example, Dollar General at 10,000 stores strong has more retail locations than any retailer in America. This year the company is hosting about 170 career fairs throughout 40 states to hire 10,000 new employees around the country. 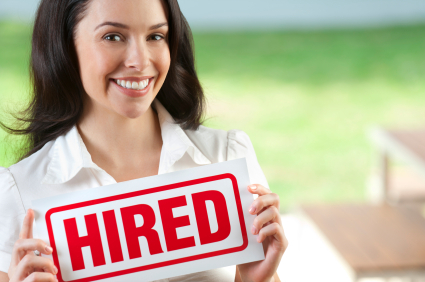 If you are searching for work in a specific field, try an internet search for job fairs in that field as well. Many technical professions or education specialties will gather employers searching for viable candidates with very specific skill sets. In a smaller crowd, you have a better chance of standing out.